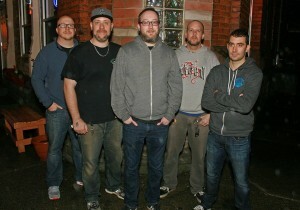 We are proud to welcome LONGEST WAR to the Voodoo Crew! Chokehold(A389), Despair(Trustkill/Initial), Union(Ferret), 78 Days(Trustkill/Goodfellow), Dead to the World(Stillborn), Herod(Lifeforce), Prayer for a Fallen Angel(Goodfellow), Building on Fire(Hex), Face the Panic(Reaper), The Control(Go Kart). We at Irish Voodoo are proud to be working with them. In the works will be a vinyl/cd/tape/digital release. Genet Records from Europe will handle the exclusive Europe version, give them a follow for updates. LONGEST WAR has releases by Blasphemour Records , State Of Mind Recordings, and Press Gang Records.